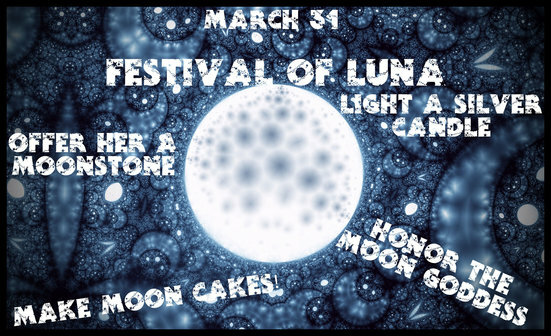 March 31 is the Festival of Luna, the Moon Goddess. A wonderful way celebrate Her day is to make and eat Moon Cakes! Combine the butter, sugar and 1 egg yolk and stir. Form the dough into one large ball and wrap it in plastic wrap. Unwrap the chilled dough and form small balls in the palms of your hand. Make a hole with your thumb in the center of each moon cake and fill with about half a teaspoon of jam. Bake for about 20 minutes or just until the outside edges are slightly brown.